Expired 9mo ago . Last validated 9mo ago . Used 3 times. Yenni Parker So grab your favorite product today. 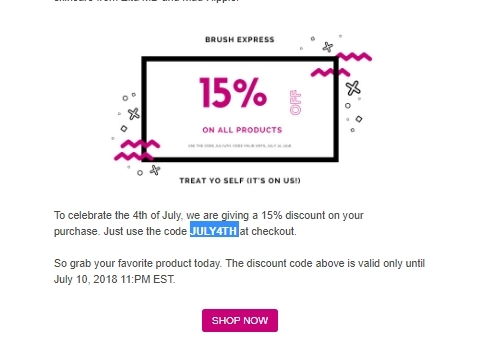 The discount code above is valid only until July 10, 2018 11:PM EST. Enter code at checkout. This is a limited time offer. Certain offers cannot be combined with other offers, discounts, or deals.